SMARTGOLD project — end of Token Sale Public Announcement. 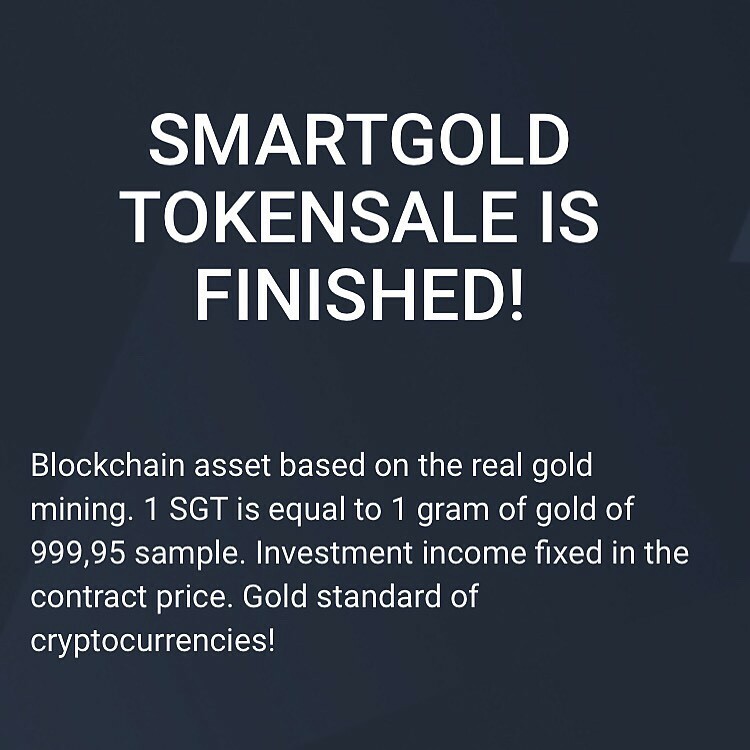 Dear tokenholders, let’s sum up our Tokensale, it was not easy, and on behalf of the entire SmartGold team I want to thank our community for the patience and faith in the project. Together we managed to collect a considerable amount to get our project off the ground. To date, the SmartGold project has an obligation to investors to issue 277,190 SGT tokens or deliver 277,190 grams of gold. The project collected an equivalent amount of USD 4,274,582.80, which makes it possible to start the project in terms of additional exploration and ore mining. Due to the fact that the project did not collect the Soft cap with the amount of USD 7,000,000; an alternative solution was found by the project team. Instead of building a gold-recovery factory, we are going to use the heap leach method. This method allows you to extract gold from ore significantly cheaper and shortens the production time of the metal. Therefore, the terms of the project implementation remain within the framework of the Road Map. In connection with the plans for access to the exchanges, we are waiting for the release of wallets and news from UNIVERSA developers to list there first. At the moment, certain agreements have already been reached with some exchanges. According to the team of Universa, the output of wallets for the issue of SGT tokens will be decided within 40 days. Follow the news of the project. A team has been formed in the Republic of Tanzania from local and foreign specialists, consisting of managers, geologists, production technologists and auxiliary workers. 2. The project office is located in the gold-mining area of ​​Chunya. 3. The necessary equipment and equipment is rented for the purpose of additional exploration of sites and determination of the location of ore bodies (gold-bearing veins). Today, analytical work is being carried out and a work plan is being prepared with budget adjustments. Brief description of the new method: heap leaching is a flexible and economical way of processing mineral raw materials. It is usually used for extraction of precious metals. In this process, the ore must first be crushed to fine particles, and then treated with a suitable leach reagent to dissolve metals. Lastly, a method of adsorption with carbon is used to separate gold from liquid.